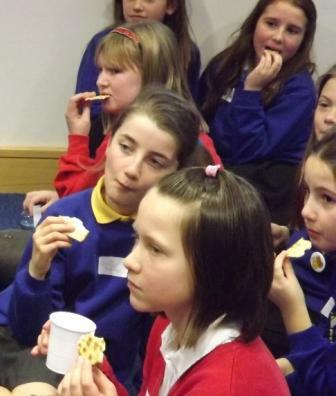 These Children are eating cream crackers and drinking water, sitting on the floor as part of the Rich man Poor man snack. 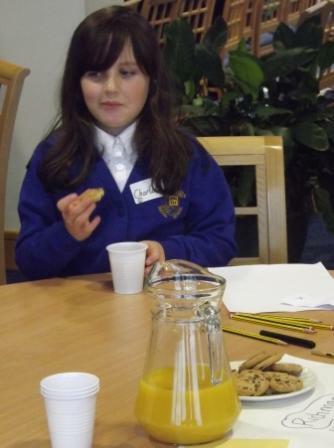 Whereas this child is one of the 20% who enjoyed Fairtrade fruit juice and a Fairtrade chocolate chip cookie. This activity was to help them understand how here on the Isle of Man we are part of the 20% of the world’s population which have all we need and most of what we want.